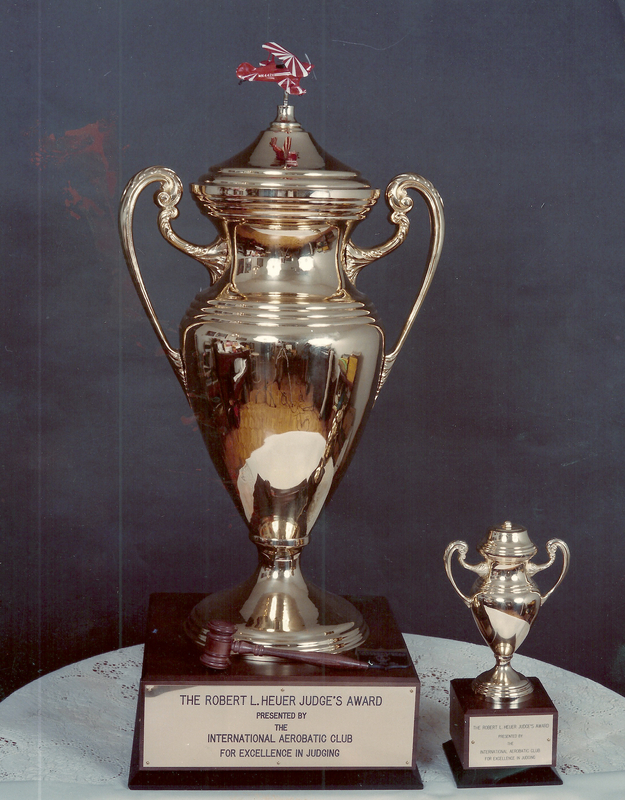 Member Sam Burgess of San Antonio, Texas conceived the idea for presenting a trophy to the outstanding aerobatic judge each year. He provided the permanent trophy to recognize the outstanding achievements made to competition aerobatics by the judges. The Award is given annually for outstanding performance as an aerobatic judge during the contest year. General guidelines, though not requirements, for the award include National Judgeship and having judged a minimum of three contests, one of which should have been the U. S. Nationals. Nominees are sought each spring by the Awards Administration Chairman from the Chapters and general membership. Balloting of the IAC Board of Directors occurs after the close of nominations. The award is presented at the IAC Annual Gathering Dinner at EAA Air Venture following the contest year for which it is presented. The recipient receives a plaque and the master trophy remains on display in the IAC Pavilion in Oshkosh. Note: The date is the year the award is presented for. The trophy is actually presented in the following year.